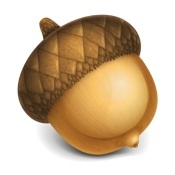 Version 3 of Acorn Image Editing Software Released, What do You Use? "Flying Meat introduced version 3 of its popular Acorn image editor today, adding a number of features, including layer styles, text and live multistop gradients, rotating text and shapes, quick mask, instant alpha channels, new filters, improvements to PSD importing as well as adding PSD exporting and more." This seems to be a pretty popular program, and for the rest of this week it's available in the Mac App Store [affiliate link] for $29.95 USD (normally $49.95 USD). I need to do more with my photographs, but since I have little experience in adjusting or manipulating them, I'm not quite sure what the best program would be for me. What are your thoughts, something like this or do you think an Adobe product is better? What do you use?